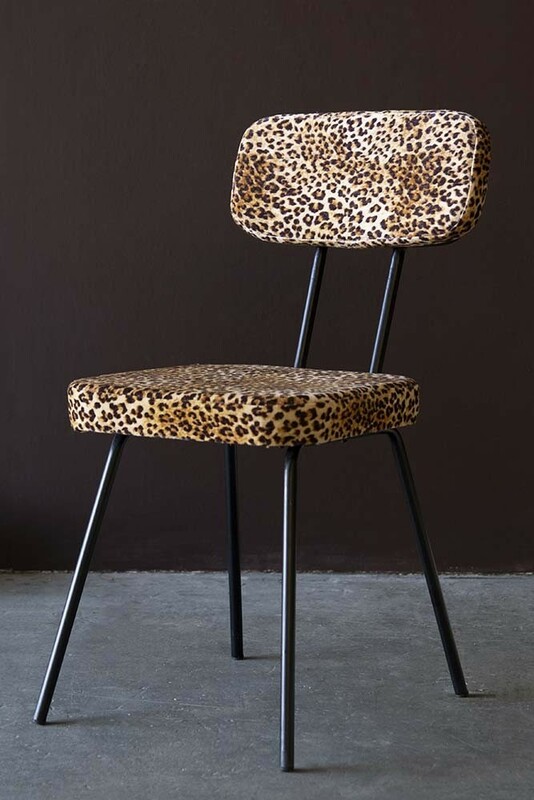 Release the animal within, with the Rockett St George fierce feline Leopard Love Dining Chair! Our Leopard Love Print is a much loved rock’n’roll design that we’ve seen on catwalks and in our wardrobes for years. The timeless nature of leopard print can mainly be attributed to how easy it is to wear, just like black and white clothing and as fashion and interiors so closely intertwine, why not embrace the wild side in your home?! 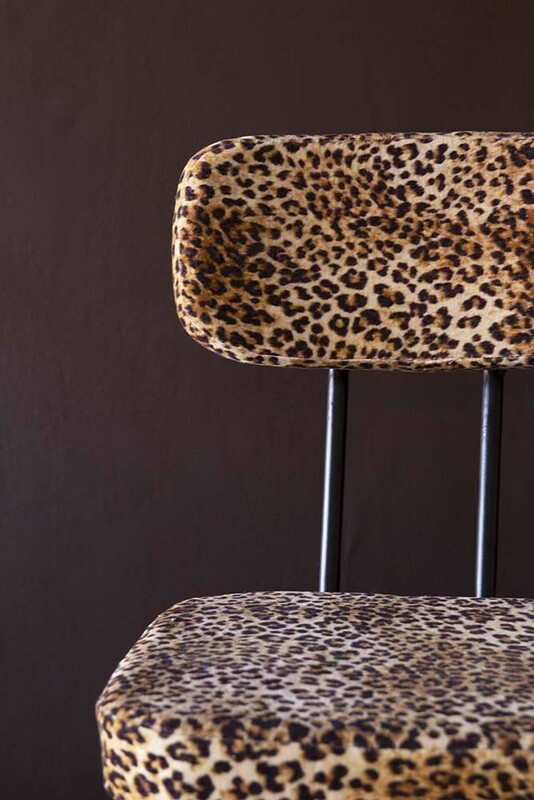 A gorgeous dining or office chair that will stand out in your home, style the RSG own-design Leopard Love Chair in your dining rooms, bedrooms, living rooms and home office – perfect for giving minimalist décor a chic uplift and dark interiors a rockstar vibe! Upholstered in a luxury velvet leopard fabric, with metal legs and a slightly reclined back for added comfort, sit in style with the fabulous Rockett St George Leopard Love Dining Chair! 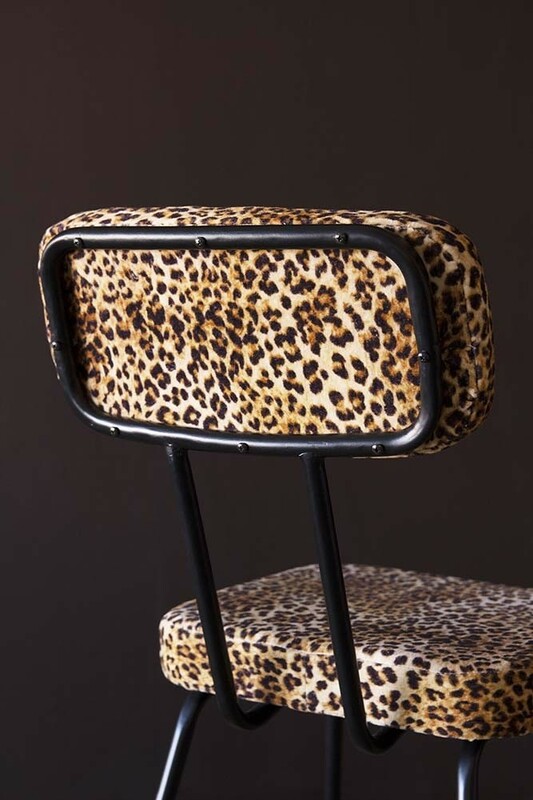 Psst… we’ve curated a whole collection of rock ‘n’ roll leopard print pieces for the home, including Leopard Love Wallpaper, Armchairs, Dining Chairs, Lampshades and Cushions. How cool is that? !